So pretty, right?! 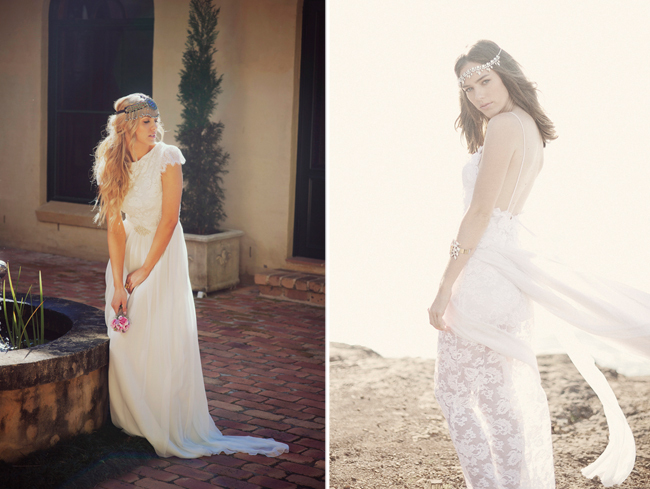 Grace Love Lace‘s philosophy is based on the notion of not being afraid to be different or untraditional. 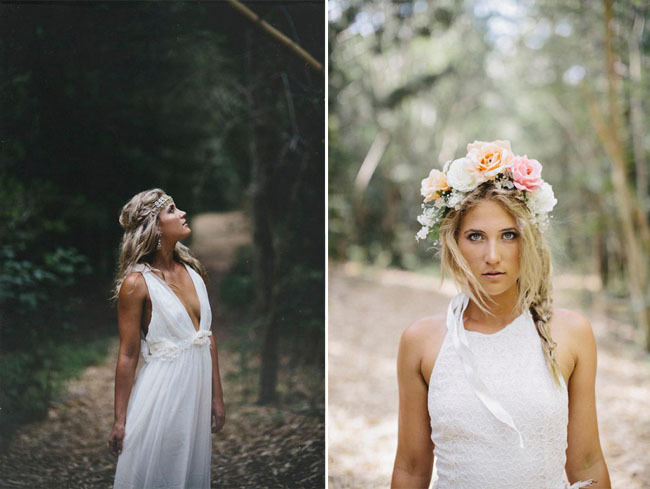 Grace Loves Lace brides think outside the box with their styling and are naturally elegant + free spirited. 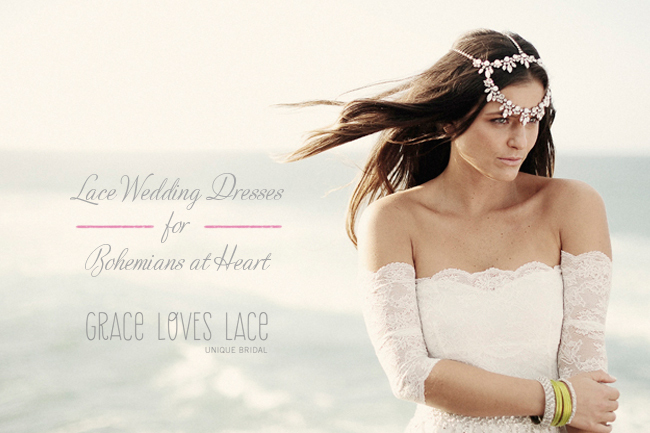 So if you’re looking for a wedding dress that is effortlessly romantic with a boho-vintage flavor, pop on over to Grace Love Lace’s website to see more of their gorgeous gowns! These are just lovely! My favorite is the last one! 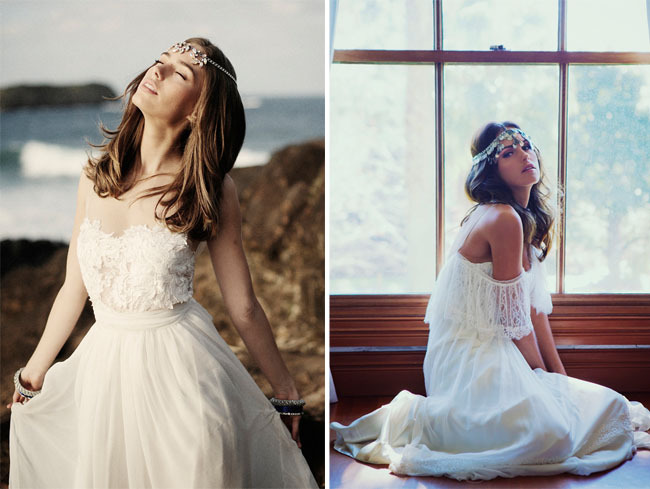 I adore these wedding dresses!!! Also the scenery etc jst looks gorgeous!!!! :)! wow !!! 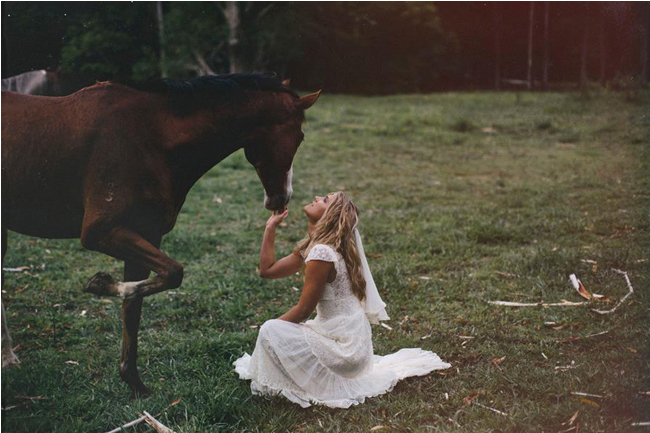 so beautiful wedding dress!!! and what a amazing desigh dress!!! Top right is awesome. Just wish i could see the whole dress! such a pretty neckline.